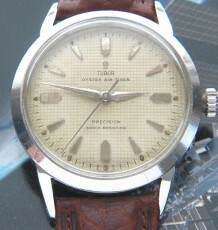 Amazing vintage Tudor with original black small rose dial. 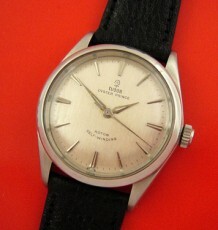 Features a manual wind 21 jewel movement. Fantastic patina on dial luminous. 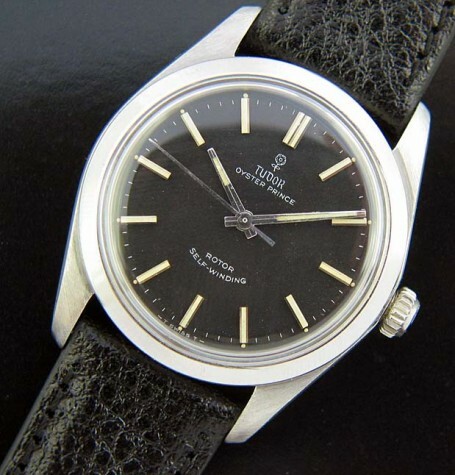 A spectacular vintage Tudor with an all original black small rose dial. The jet black dial features the original vintage Tudor small rose dial that many collectors seek out. The contrast of the deep black dial and the steel markers and hands is quite appealing. 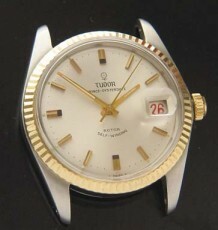 The watch is fitted with a Tudor manual wind 21 jewel movement that was just serviced and is keeping excellent time. The stainless steel Oyster case by Rolex is in excellent condition and is slightly thinner than the automatic Oysters from this period as the case back did not have to protrude out to accommodate the rotor winding mechanism. 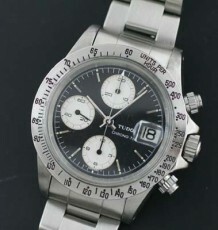 The watch measures 33mm wide by 41 mm long and will be supplied on the buyers choice of black or brown leather straps.